A cooling and revitalising body scrub to refine, smooth and refresh skin, while helping to boost hydration. Apricot Seed Kernels gently sweep away dry, dull skin, Spearmint cools and refreshes while Aloe Vera hydrates and conditions. Massage into damp skin using firm, circular movements, paying particular attention to dry areas. Rinse away with warm water. 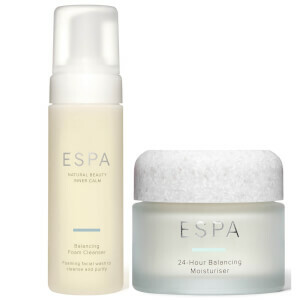 Follow with your favourite ESPA body moisturiser or body oil. Water (Aqua), Glycerin, Polysorbate 20, Prunus Armeniaca (Apricot) Seed Powder, Propanediol, Phenoxyethanol, Mentha Viridis (Spearmint) Leaf Oil, Sclerotium Gum, Glyceryl Polyacrylate, Xanthan Gum, Cocamidopropyl Betaine, Caramel, Limonene, Ethylhexylglycerin, Papaver Somniferum Seed Extract, Sodium Chloride, Sodium Hydroxide, Aloe Barbadensis Leaf Juice, Sodium Benzoate. 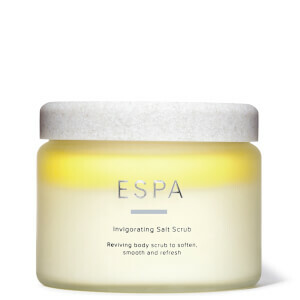 I've tried many body exfoliators and this is one of the best by far. Easy to apply and with the most refreshing and fresh minty smell. It goes a long way and I like to option of a tube for the shower. This will become one of my staple beauty products. I love the fact that there are no 'nasty' ingredients in too, e.g. Parabens, SLSs etc. After use this product my skin felt really smooth and certainly had a lovely shine. Will be buying more of this product, highly recommend it. Gorgeous product leaves body lovely and soft. Great spearmint smell! I would recommend. Good product. I would recommend it.